Ultra-fine point in a metal sleeve produces an 0.3mm line. Permanently mark almost any surface. 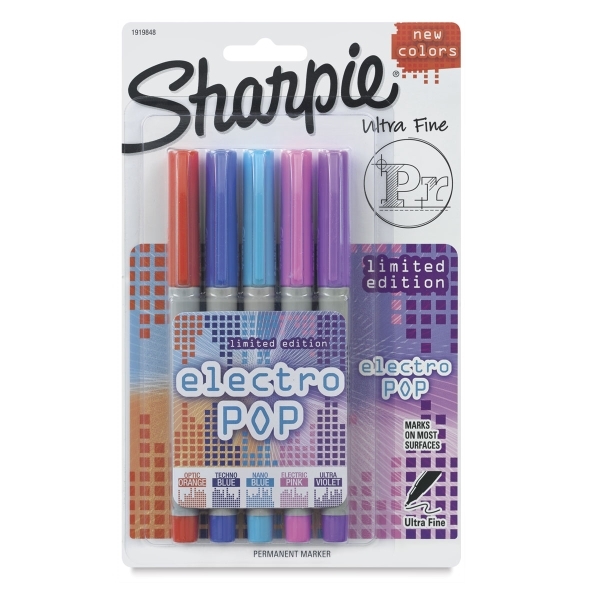 Sharpie markers are available individually in a variety of colors, and in sets. 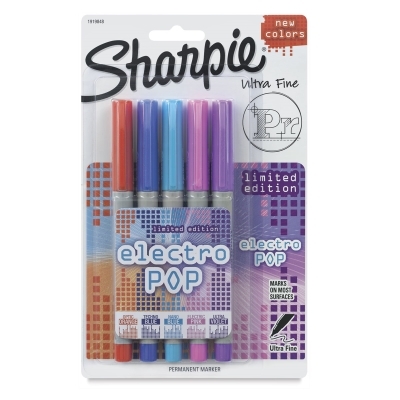 This set includes Power Pink, Racey Red, Supersonic Yellow, Jetset Jade, and Brilliant Blue.